The GSI Champagne Flask is the hands down best outdoor booze drinking invention ever. If I hadn’t already bought every single friend of mine one of these little Mimosa downing vessels, they would have been the party favor at my upcoming wedding. 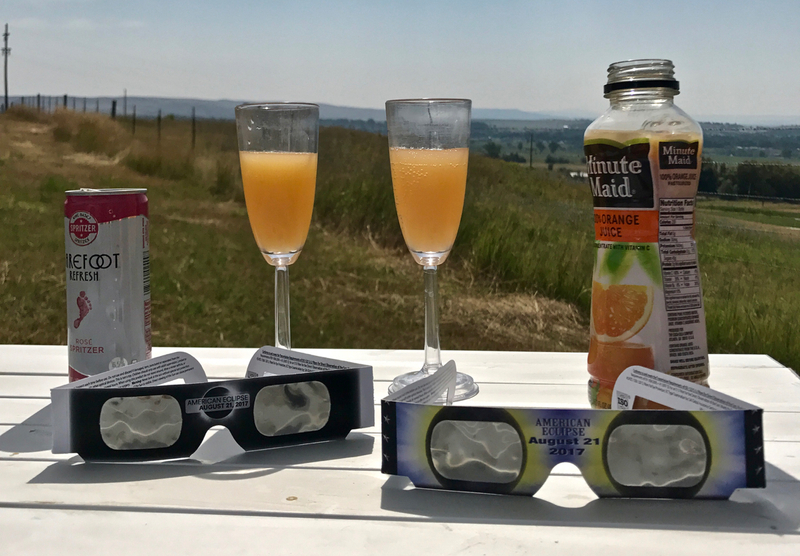 These babies have been on more mountain tops than I can remember and were an excellent accessory for the Great American Eclipse. The base snaps into the rim for easy packing and then pops out and screws in and then tada – champagne glass on a mountain top. 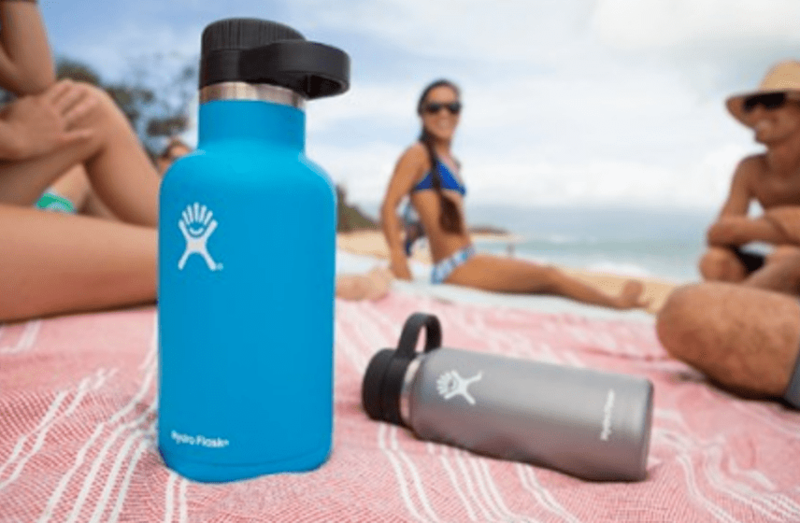 Hydro Flask is personally responsible for taking the outdoor Happy Hour to the next level! 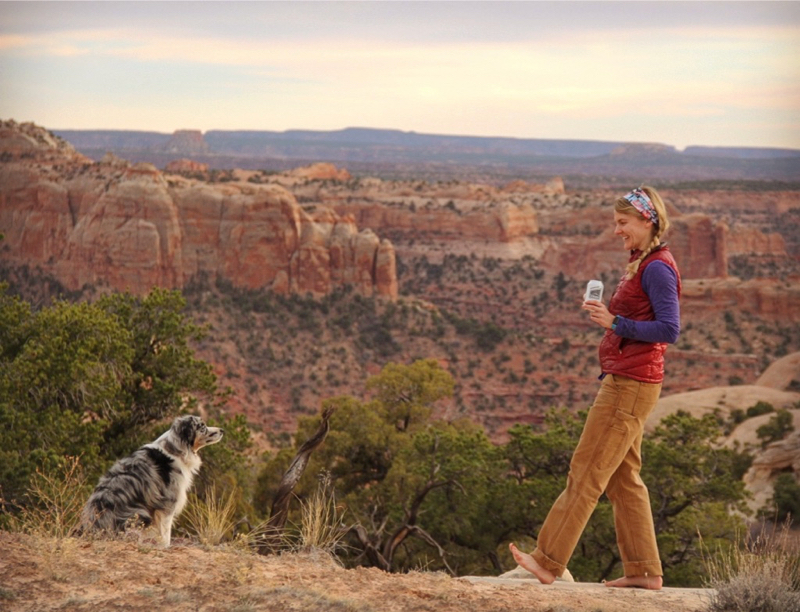 The Hydro Flask Wine Bottle fits an ENTIRE BOTTLE of wine and it is insulated and leakproof so you can transport your wine safely on any adventure. Stainless Steel construction makes every Hydro Flask amazing and totally eliminates any flavor retention meaning your rose will have no hints yesterday’s Merlot. Seriously awesome and available in so many colors plus you can pick up an adorable 10 ounce tumbler to match. 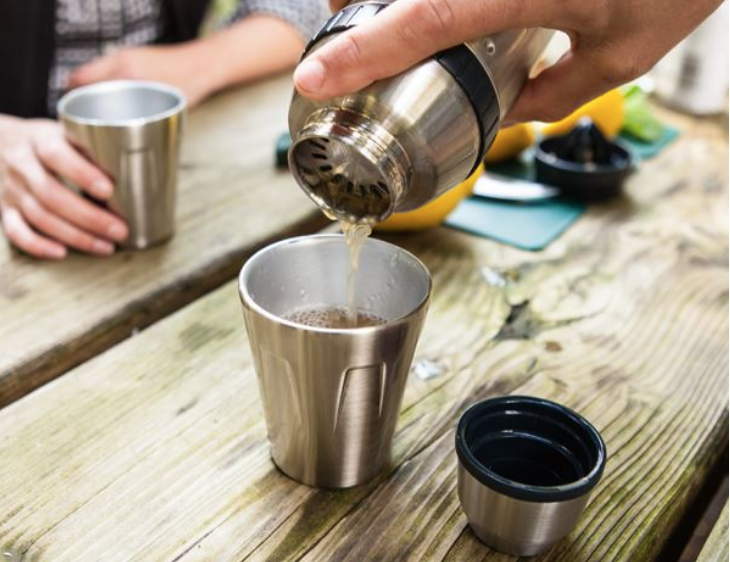 This 5-piece system keeps the Happy in Happy Hour by containing all the required tools for mixing up some hipster concoctions on the trail. The Stanley Shaker Happy Hour System includes a 20-ounce shaker, two rocks glasses, a citrus reamer, and a jigger cap, which all fit in to the shaker making it easily transportable anywhere. 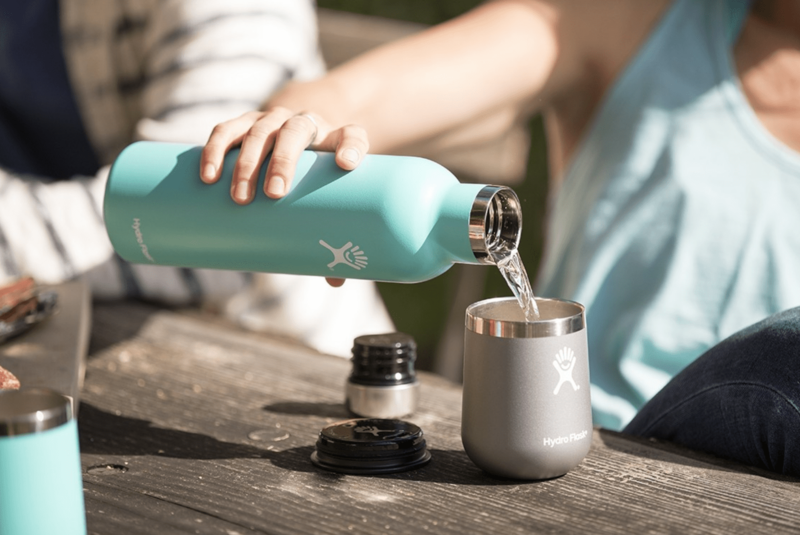 Made from stainless steel that is rust and BPA-free, but you can still pop it into the dishwasher after a gritty weekend in the desert. This cooler is no Yeti Roadie nor Pelican Elite, but it is fraction of the cost and does its job well. 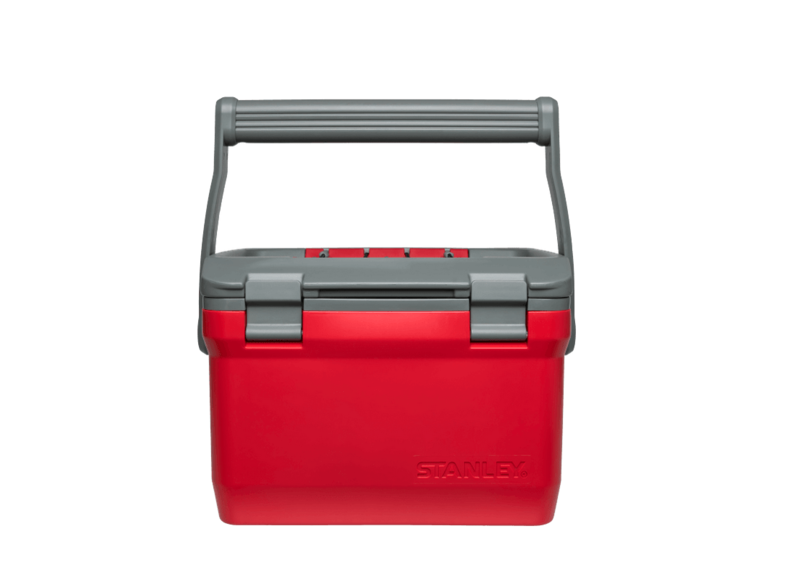 It keeps a six pack cold up to 36% longer than the average cooler plus it is leak-resistant and durable so it can handle a rough ride.